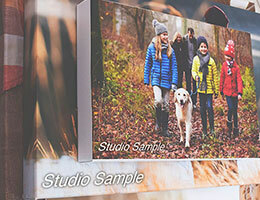 Save 40% on your Studio Samples! We understand that in order to sell a canvas print, you need to be able to show your customer first-hand what they can expect. We'd love to help you share the beauty of a canvas from Trade Canvas Prints, so are pleased to offer a whopping 40% discount for any size studio sample. The font will be either black or white and the size will be proportionate to the canvas size (approx 15%). For example, the font size applied for a 16x20" canvas would be 50pt. Please note - Studio Samples limited to 5 per customer.